To an onlooker, the world of search engine optimization probably seems like a dull, nerdy, and completely unglamorous branch of marketing or advertising. True enough – it’s not glamorous, and whether it’s a particularly nerdy field of marketing is up for debate. But no one with an inside look at SEO would say it’s dull. In fact, it’s quite the opposite. SEO is a field where change is more of a norm than an occasional occurrence. It’s also an area that’s experiencing rapid growth in importance, demand, sophistication, and challenge. It’s a part of a powerful approach to online marketing called “search marketing,” which is lauded as the best way to get new customers by a majority of online retailers. And it’s very hard to master and do right. 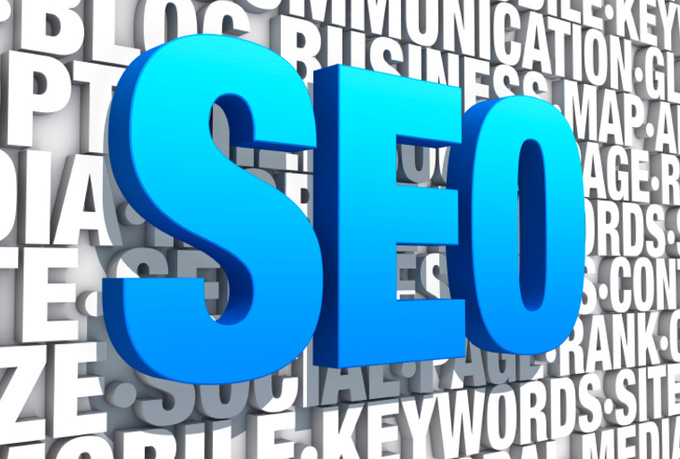 Here are some of the most important pieces of the SEO puzzle today. Content is king, as you’ve probably heard. What you need to keep in mind when producing content today is that some of the things that used to work in the past, like creating keyword-stuffed content to get better ranking simply doesn’t work. Google, the most-used search engine in the world and the search engine that’s probably the most significant regarding optimization, is excellent at discerning between bad and good content. Bad content has little value and a lot of keywords. Good content gives plenty of value to its audience, and it contains just enough keywords. That’s why it’s better to think about the audience when producing content, and not the search engine algorithm. A significant share of online content produced today goes to images and videos. We are getting near the point when watching videos will amount to up to 90% of online traffic, so if you’re not paying enough attention to the visuals, you should start right away. The main thing to remember with videos and images is that they should fit in nicely with written content and complement it. It’s not a competition – all of your content needs to work together and provide value to the audience. Optimizing video and image content should include giving the files names that relate to other content on the page and editing image and alt tags. Names and tags are information that will be picked up by search engines and help make sense of the videos and images you upload. Just like there are good and bad ways to handle keywords in your content, there are also good and bad ways to handle the links in it. While most of us can understand the difference between good backlinks and bad backlinks, we’ll probably see a change in what the preferable links are pretty soon. According to a patent submission by Google, the search engine will start to differentiate between “express” links – the regular URLs that are used to take viewers back to a web page, and “implied” links, which are just mentions of brands without the link back. This makes simply mentioning a brand an important part of SEO, which is something online marketers will need to take into account. We’ve already covered content optimization, but to be truly effective with SEO, your whole website needs to be optimized. According to recent trends, there are two things marketers should pay close attention to – mobile optimization and speed optimization. The use of mobile devices to surf the Web has been and will continue to be on the rise. It should go without saying that a website which wants to stay competitive and reasonably attractive must incorporate responsive design. Is it an added expense? Yes, it is. Will it pay off? Probably more than you know it. There’s a strong possibility that the future of the Web is in mobile. It might even be a certainty. So make sure you’re not the last person to hop on that bandwagon. Optimizing your website for speed is important for two reasons. First, there’s the fact that if your website doesn’t load within a few seconds, your potential viewers will probably look for what they need somewhere else. Second, Google penalizes websites which are slow to load. It also gives websites PageSpeed Tools, which can be used to measure the website’s performance, and you should use them to the full extent to monitor how well your website is doing. Yes, it’s another thing you need to keep your eye on, but we said it from the start – SEO is not easy. But it’s worth the effort.